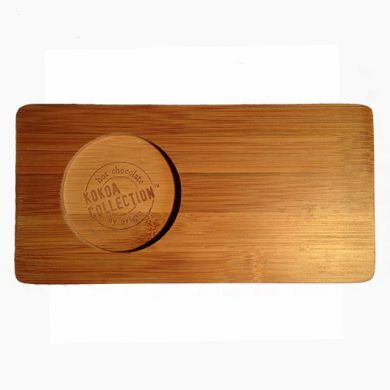 Bamboo serving tray - perfect to use to serve a cup of your Kokoa collection hot chocolate. Ideal for use with our dual-wall 8oz glasses. Bamboo is the earth's fastest growing plant, and is one of the most resilient and durable natural materials in the world. Used by over one half of the world's population for food, shelter, fuel and fiber, bamboo's application is vast and varied. It is a vitally important non-timber non-petroleum resource.